Mary Elizabeth Mathews was born in Nelsonville, Ohio on July 28, 1918, to the late William P. Minner and Esther Marie Minner. 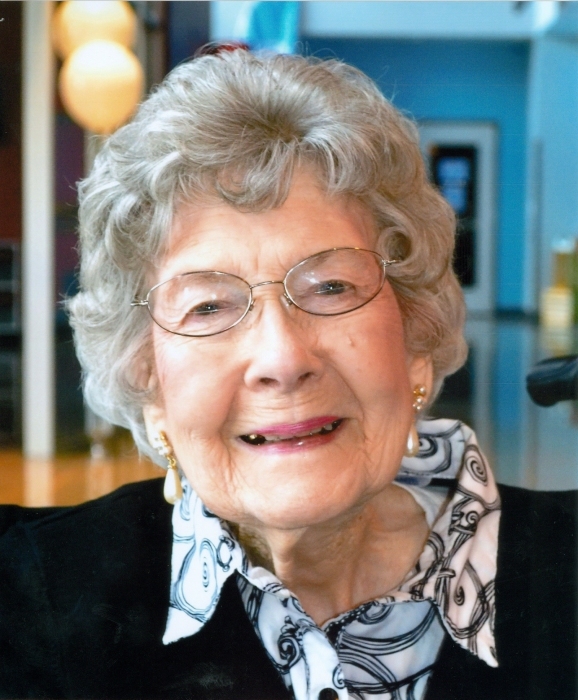 She passed on April 11, 2019 at Ridgeway Nursing and Rehabilitation in Owingsville, Kentucky with St. Claire Hospice Care. Survivors are daughter and son-in-law, Carol and Tom Osborne, grandson, Mark Xanthus Osborne and girlfriend, Sarah Callihan and granddaughter, Amanda Sue Osborne (“Mandy”). In addition to her parents, she was preceded in death by her husband, Thomas D. Mathews, Sr. and son, Thomas D. Mathews, Jr.
Having lived most of her life in Columbus, Ohio, Mary worked in business, homemaking and caregiving. She was a member of Trinity Assembly of God. Due to health concerns, she moved to Morehead, Kentucky to live with her daughter and family in 2017. And yes, she did become a Wildcat fan! Individuals from two small groups at Better Life Church have become her dear Morehead friends. Beautiful inside and out, Mary defied description except to say that her body truly was the temple of the Holy Spirit. Her longevity is a testament to her unwavering attention to healthy habits and positive thinking. Funeral preparation and arrangements were made through the Michael R. Gray Funeral Home in Morehead, Kentucky. Funeral services will be at Schoedinger Chapel in Grove City, Ohio with Pastor Ken Keene officiating. The Michael R. Gray Funeral Home in Morehead is caring for arrangements.